HOT OIL BATH is widely used for reversion test of uPVC pipe in Plastic industry. 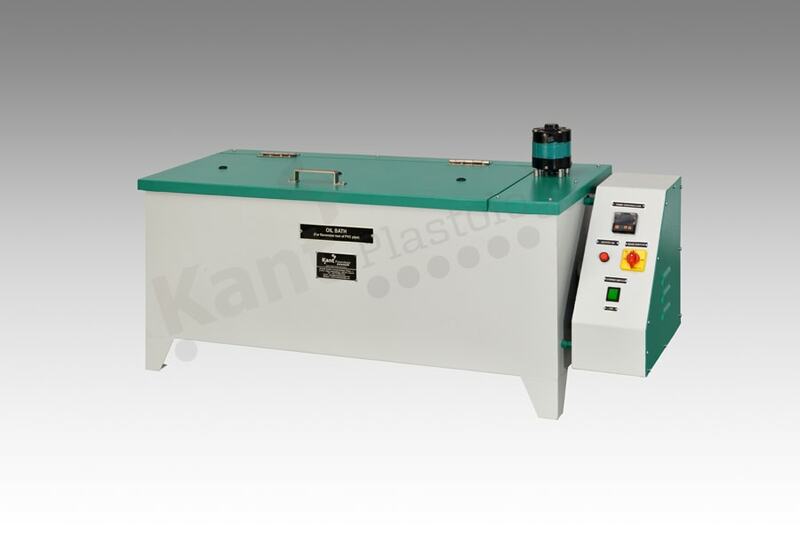 Kant Plastology is catered extensive range of HOT OIL BATH with sturdy construction. The heating reaches very fast due to energy efficient heating element equally distributed in the entire chamber and minimum heating loss due to proper heat insulation. The Stirrer motor of calculative RPM produces the homogeneous heating chamber and quite simple test sample hanging attachment to conduct the test for easy operation.